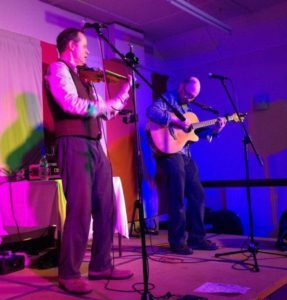 Cosgrave & Banks are Mike Cosgrave (accordion, guitar, whistle, vocals) and Steve Banks (fiddle, hardanger fiddle, vocals, guitar), a superb folk/acoustic duo based in Devon, England. Debut CD : ‘Warp & Weft’ available from our online shop. mp3 downloads available at CD Baby, Amazon (Europe), iTunes, Spotify, etc. 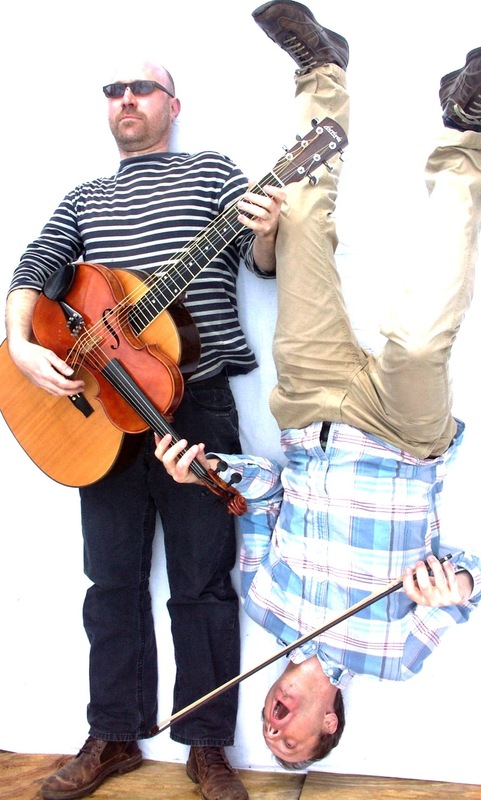 Cosgrave & Banks play a rich smörgåsbord of sublime and captivating music, traditional and contemporary, from Britain, Europe (mainly France, Scandinavia and Eastern Europe) and beyond. Gigs coming up… details on Gigs page – click here. Have a listen here. Follow us on twitter and facebook for gig news.